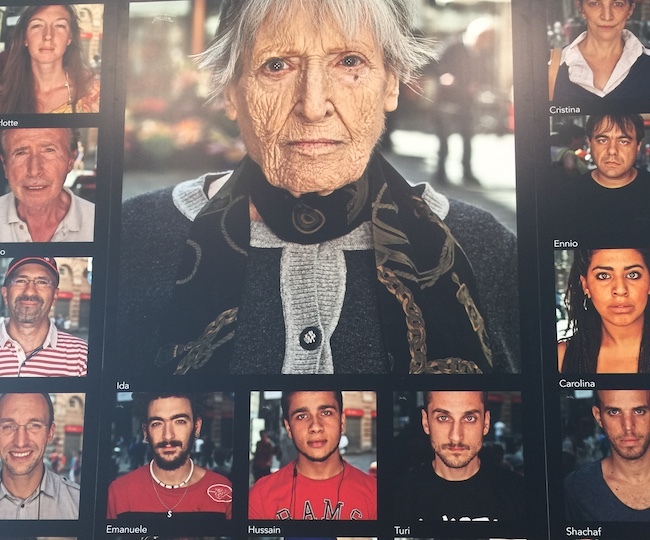 The Thousand People of Genoa photo exhibit will be displayed at Columbus Museum of Art, the Cultural Arts Center, John Glenn International Airport, the Greater Columbus Convention Center and Franklin Park Conservatory and Botanical Gardens, March 25 – April 9, 2018. The idea for this project began when Costa was working as a young photographer. While telling the stories of his community, he grew increasingly passionate about photography and realized his city can be best represented by the grace and humanity of its people, thus inspiring him to create the #ThousandPeople project. His inspiration is simple: he believes that one can learn someone’s story by simply looking into their eyes. That seeing a familiar face creates a sense of connection, belonging and understanding, regardless of how different another may appear. That each wrinkle has its own story and the viewer decides how to embrace the charm, mystery and passion that a person represents. While in Columbus, Costa will begin a new chapter of the Thousand People project. In addition to displaying his current collection throughout various venues around Columbus, he will begin the Thousand People of Columbus exhibit. He will be taking photographs of the people in the Greater Columbus region. The photos in this collection will be displayed in an exhibit in Columbus’ sister city of Genoa, Italy, in 2019. Costa will be photographing Columbus residents at Columbus Museum of Art as part of Think Like an Artist Thursdays on April 5, 2018 from 6:30 PM – 8:30 PM. You can also DIY your own Anthopologie-inspired pom-pom wall hanging with the help of Craftin’ Outlaws, plus music by the Andy Shaw Band and craft beer by MadTree Brewing. Cost of the program is Pay What You Want admission for nonmembers, and is free for CMA members. The first Thursday of the month visitors are invited to think like an artist and drop by CMA for opportunities to play games and make art, enjoy live music and DJs, and taste cocktails and craft beers.